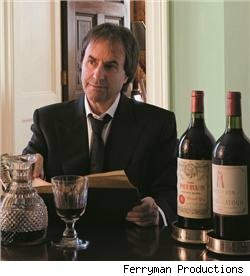 As we mentioned last fall, singer Chris DeBurgh, who most famous for in the U.S. for his song “Lady in Red,” is also a wine collector who is ready to sell off some of his best vintages. Last year he sat down with Decanter to confess that the reason he is gong to sell is not because he needs the cash but because he can’t bear to drink some of the most expensive bottles. He has been collecting for years and has picked up many prized bottles including a case of Lafite 1945 and Latour 61, Mouton 82, Cheval Blanc 78, Margaux and La Mission Haut Brion 61. He also has a complete collection of Mouton vintages from 1945 that he updates with the latest vintage each year.